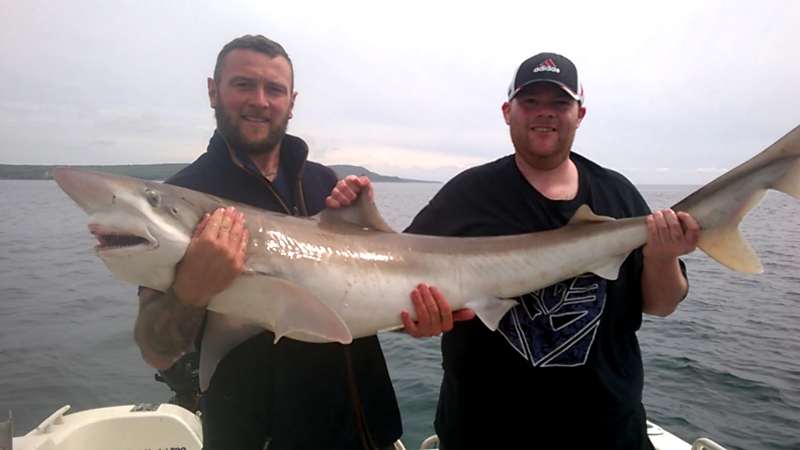 Fishingmegastore Fish of the Month Entry May 2017 - Luce Bay Tope! Scott Lindsay with big Tope caught from Luce Bay whilst fishing aboard Onyer Marks. The fish took a fresh Mackerel bait and was safely returned to fight another day!